As of February 11, 2016, sixteen feet have been found in the Canadian province of British Columbia, and four in the US state of Washington. Of the 16 feet found, only two have been left feet; both of those were matched with right feet. As of February 2012, only five feet of four people have been identified; it is not known to whom the rest of the feet belong. Finding feet and not the rest of any bodies has been deemed unusual. Finding two feet has been given a "million to one odds" and has thus been described as "an anomaly". The finding of the third foot made it the first time three such discoveries had been made so close to each other. The fourth discovery caused speculation about human interference and, statistically, was called "curious". 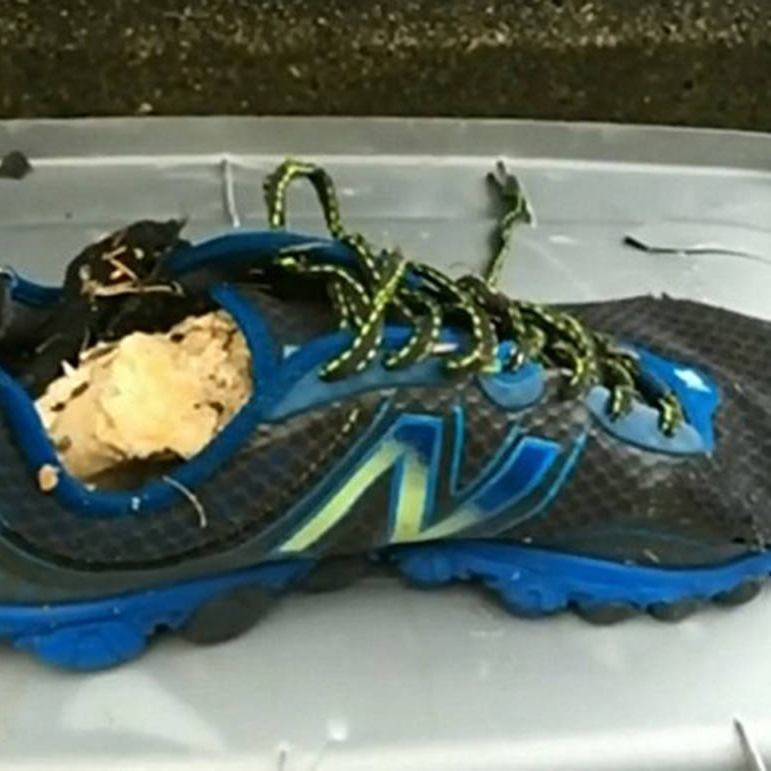 Actual police photo of one of the Salish Sea feet. UNPLEASANT FACT: There are little bugs that live on your face and eat the dead skin off of it. Reverend K.F. Lord took this picture in 1963 inside the North Yorkshire’s Newby Church where a wispy image of a figure wearing a cowl, standing by the altar, was also captured. The reverend swore there was no one else inside the church when he took this photo. From 3 until 13 I lived in a nice home out near Yosemite National Park, nothing super spectacular about it, 4 bedrooms, a den, dining room, the norm. Just down a little dirt road and (if you've ever been around those parts you'll know) miles away from civilization. My whole childhood I was visited by this girl in white, she never spoke, I would just wake up at night and see or feel her there. I asked my dad and his response every time was 'the men in our family can see ghosts.' My rational of this (I'm a skeptic, I remain that to this day but the story I'm telling made me question) was that we had some sort of mild schizophrenia running through our family. It didn't bother me, she didn't look like other people. There was something 'off' about her. After my father died my mother decided to sell the house and went through a realtor. We never once had contact with the buyers, only knew them by name. The buyers had a son who went to the same school as our old neighbors (dear friends of the family) and the son apparently came to school without sleep repeatedly, complaining that there was a girl who watched him at night and that he needed to get out.